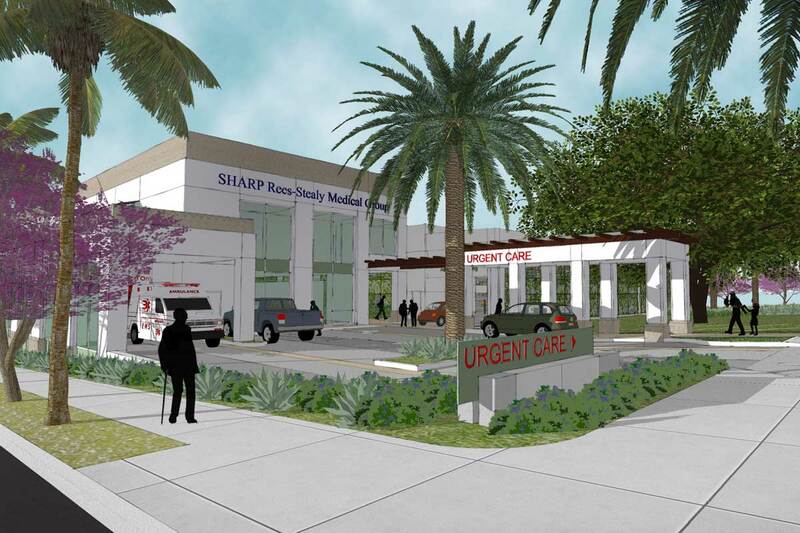 The landscape concept for the new Sharp-Rees Wellness Center is duality; duality of soft textures and crisp architectural lines, a historic site progressive health care, of public open spaces and private healing gardens. 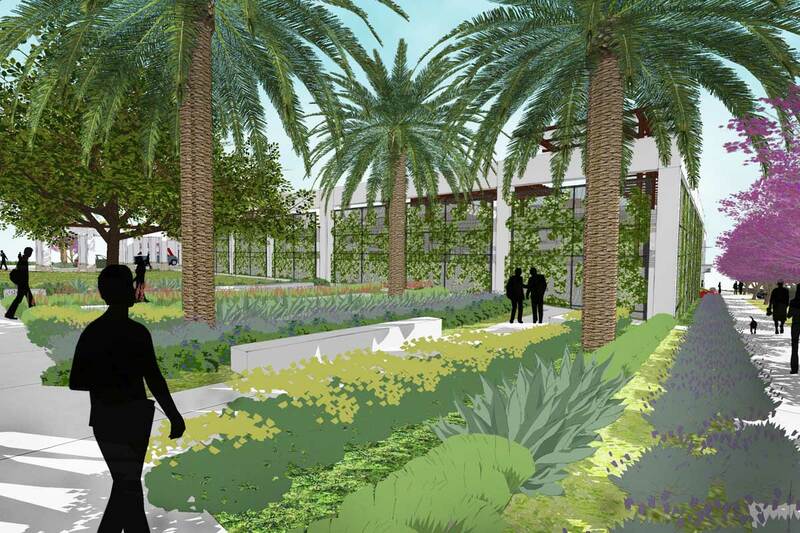 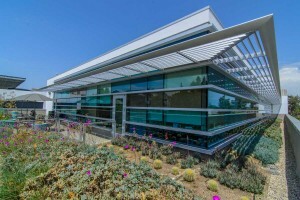 The design of the new Wellness Center creates a welcoming health care facility with beautifully landscaped entry ways and waiting areas, green walls and roofs, sustainable site features and healing garden spaces for staff, patients and visitors. 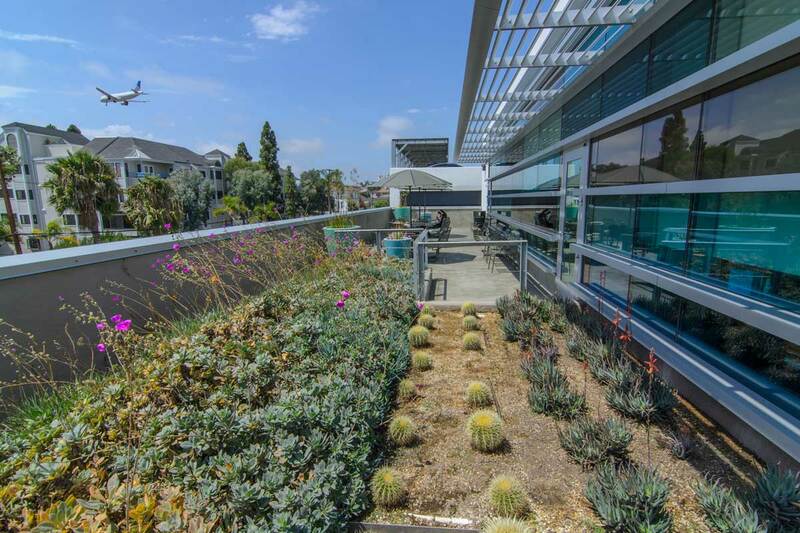 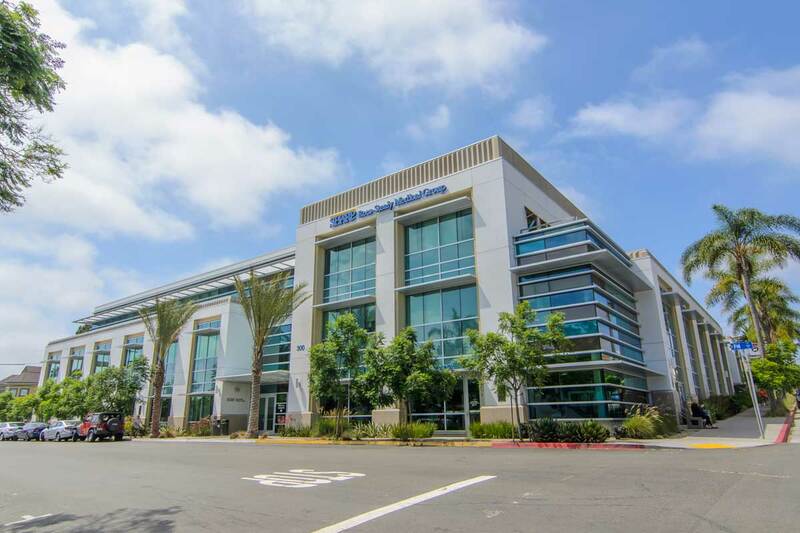 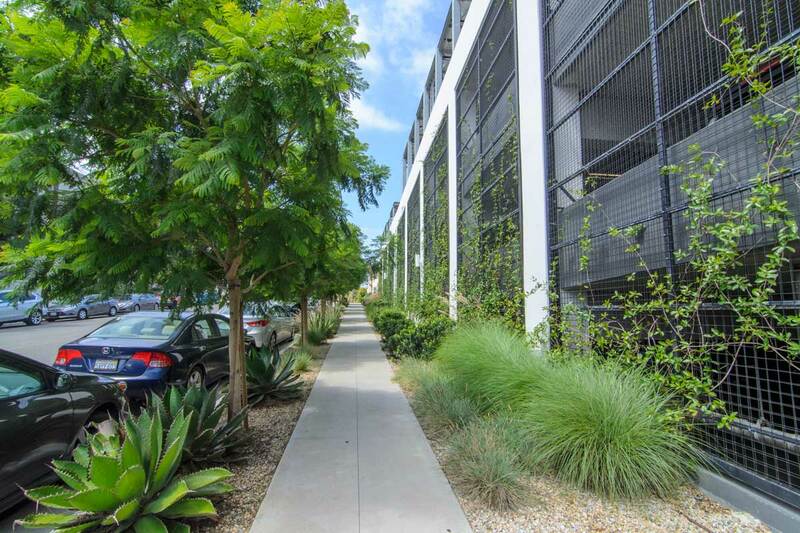 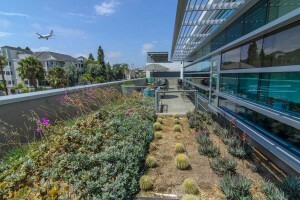 The two key landscape features are the 3rd floor green roofs and the Grape Street Healing Garden with the historic Moreton Bay Fig tree. 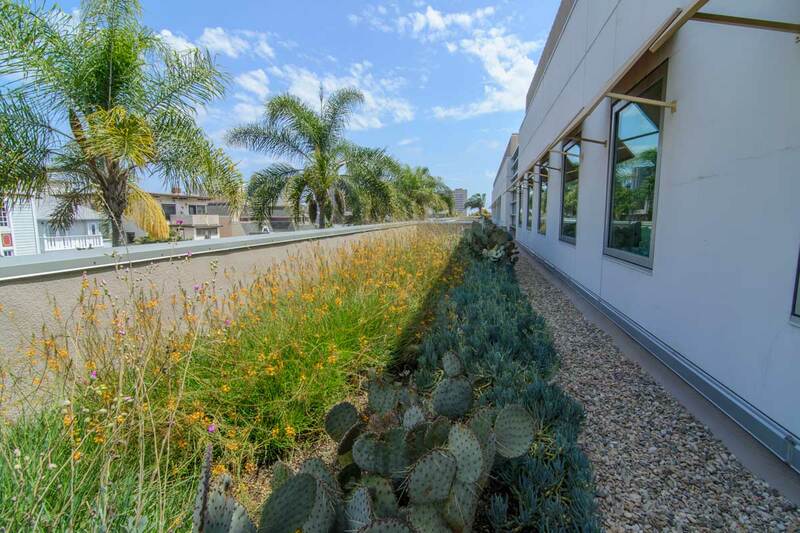 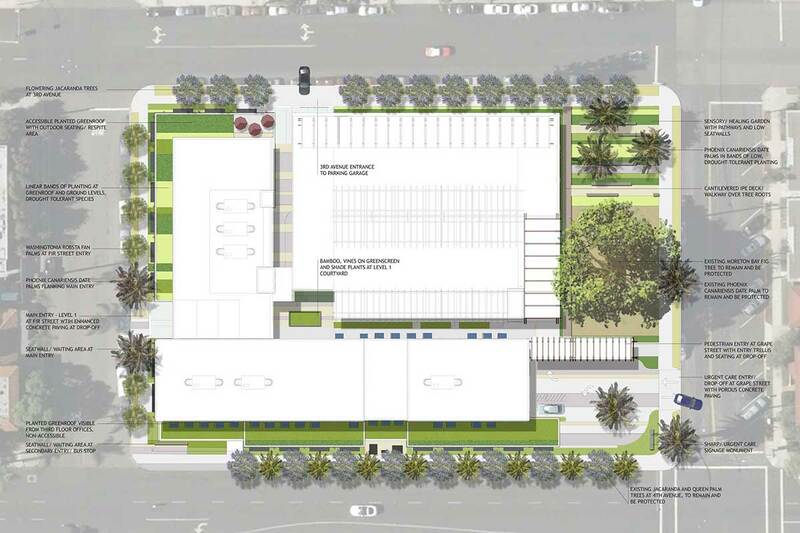 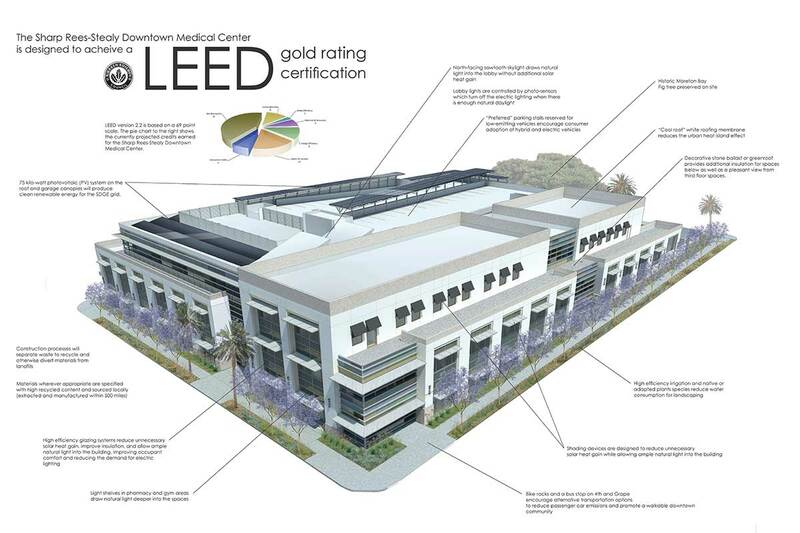 Environmental design principles such as passive solar are integrated into the proposed design: vine covered green screen at the parking garage; vegetated green roofs to shade and cool the building; deciduous trees to shade pavement and architecture. 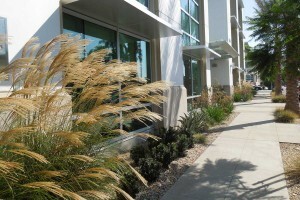 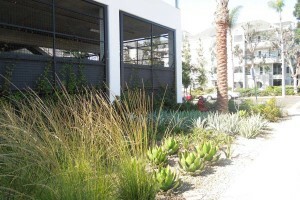 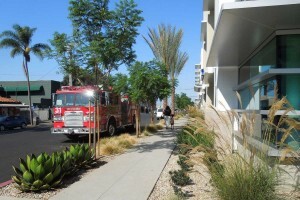 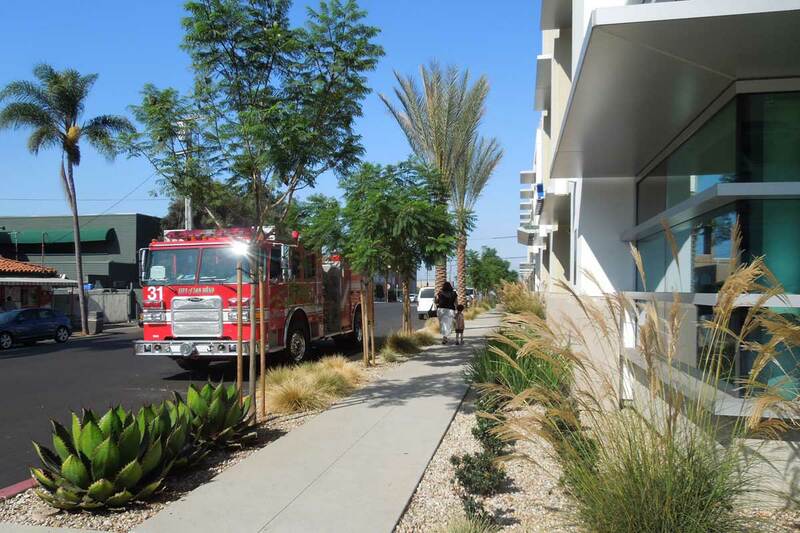 Other sustainable measures are on-site management of storm water at green roofs and at-grade landscaped areas, urban. heat-island reduction by shade structures, canopy trees and vegetated green roofs. 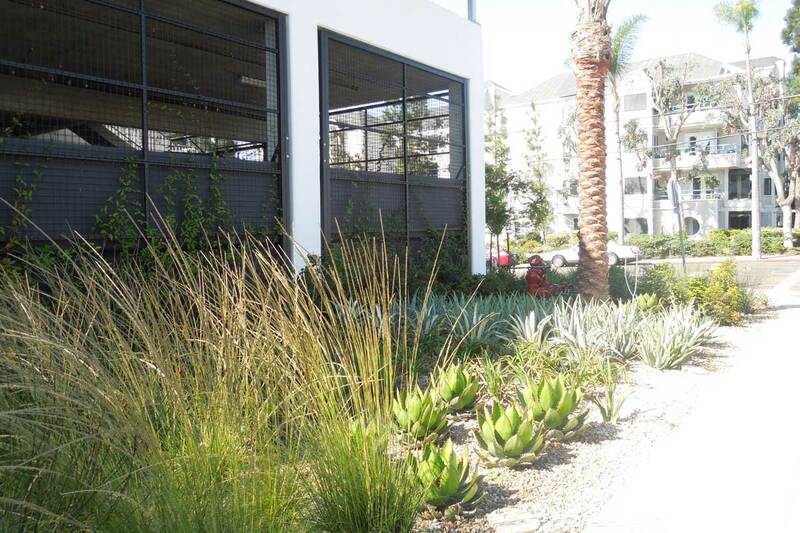 Proposed plant species will be drought tolerant, non-invasive species with sensory or medicinal qualities. 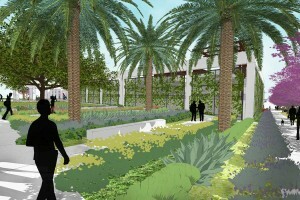 The site will be drip irrigated to reduce water-loss due to overspray, evaporation and wind.